Pingree says Maine's Office of Innovation and the Future will look for solutions in early-childhood education, the opioid crisis, broadband expansion and other areas. AUGUSTA — Gov. 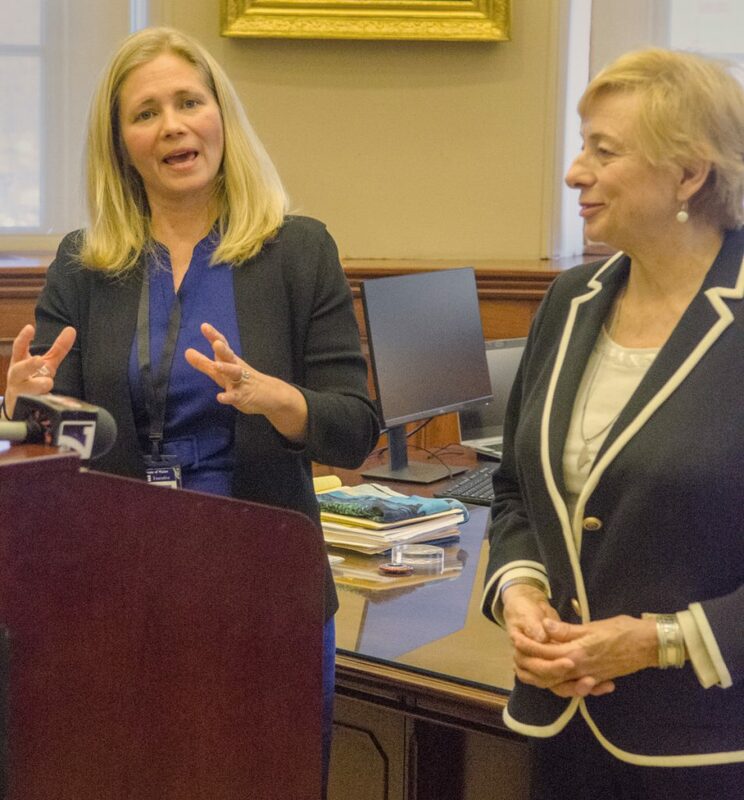 Janet Mills announced Thursday that former House Speaker Hannah Pingree will head a new office charged with finding innovative ways to tackle the opioid crisis, expanding broadband statewide and other issues. 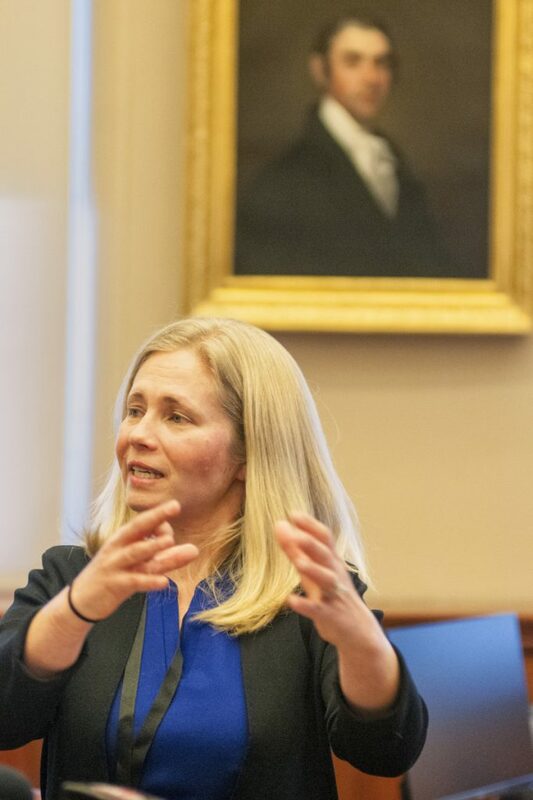 Mills, a Democrat, promised during her inaugural address to create the Office of Innovation and the Future, saying it would “dive into major policy challenges, foster collaboration and propose concrete, workable solutions” to the state’s problems. Pingree, a resident of North Haven, and Mills served together in the Maine House of Representatives in 2002. Mills said Pingree brings more than 10 years of public service to the position. Pingree also has a business background and has helped manage her family’s inn and restaurant as well as serve on several state commissions and boards of nonprofit agencies. Mills said she was creating the department, formerly the Office of Policy and Management established by former Republican Gov. Paul LePage, to lead state government to embrace innovative change. In doing so, she said, she took the advice of late author Kurt Vonnegut, who suggested every government have an office of the future. Mills also said Maine would rejoin the National Governor’s Association and the New England Council, organizations the state left under LePage. Pingree will create the new office, which will be included in Mills’ first state budget proposal due to the Legislature in February. The existing office has five full-time staff, but how many it might eventually employ is unclear. Pingree said the office was likely to have fewer workers than the 40 employed by the State Planning Office before LePage dismantled it. She said many of the planning office posts were reassigned to other state departments. Pingree said the issues she intends to focus on first were those identified by Mills during her campaign: Early-childhood education, the opioid crisis, broadband expansion, workforce development and improving the state’s rural economy. Pingree said she would focus on collaboration across state government and with the private and nonprofit sectors. Pingree, 42, served as speaker of the Maine House of Representatives from 2008 to 2010. She was also House majority leader, chair of the Committee on Health and Human Services and a member of the Appropriations Committee. Pingree has a degree in political science from Brown University and lives in North Haven with her husband and two children. She is the daughter of Maine 1st District U.S. Rep. Chellie Pingree.